REVIEWBRUARY SEASON 2 [DAY 10]: LISTED: X-MEN FRANCHISE. It has been a while since I last ranked my favourite films in a franchise, with my last film list being the “Fast & Furious characters“. I decided to pick the X-Men franchise because I just reviewed Deadpool 2 (which can see here) and as I said last year X-Men is in a very peculiar position. I made a post about Disney’s acquisition of Fox but things have changed since them – not only in terms of the deal but with the change in the slate. In the post, I said that The New Mutants would be the most important film for the franchise because it will clearly show X-Men that is the way they need to go – expanding into different genres with Logan having a western feel, Deadpool a comedic tone and New Mutants having a horror feel. But, New Mutants has been delayed for an entire year and there have apparently been re-shoots for Dark Phoenix as well as somebody leaking the entire movies plot (I haven’t read it because why would you?) – so the X-Men franchise is in an interesting spot. I say interesting because against all odds, Deadpool 2 did do well – both in terms of its reaction financially and with audiences, showing it can compete in the middle of a stacked May sandwiched between Avengers and Solo and that he can carry this franchise. I also think it is worth pointing out that I do not believe the X-Men will turn up in the MCU – so everybody needs to stop with the hype. Nevertheless, lets list the X-Men franchise – it is worth pointing out that this is my view, and how I perceived these film – I was very young when I watched X-Men: Wolverine and did not understand the hate and I really enjoyed it, so whilst it would be last for some I have a positive experience with that film. I found these next three really hard to rank. X-Men Origins: Wolverine is to many the worst film of the franchise, but as an eight year old child in year 4 of school, I liked the film. Yeah, sure – now I understand why people hated it but I liked it as a child and as a result it has been hard for me to rank. I enjoyed the film, it gave the light to Wolverine, showing us his childhood and the relationship with his brother. If I had to, although this is going to sound crazy, I wouldn’t mind watching X-Men Origins: Wolverine again , but I feel like that is more due to the fact that I haven’t watched Origins in about eight years. And taking The Wolverine as an example, it came out in 2013, by this stage we had more than enough great superhero films, whilst with Origins I don’t remember having any great superhero films when it was released. But, as I have said: I have come to learn the problems of the film, to say it ruins the continuity of the franchise is a joke and it killed the cash cow Fox had hoped the “Origins” brand would be. And so, whilst I like it when it came out and I stand by that (I was eight), I now fully understand the hate around the film and so it does sour it a little. So I would be lying if I put this any lower on the list, because although I understand everyone’s hate I still liked it when I was a child, but because of the problems that have become clear to me – although I want to I cannot put it any higher. “What?”, I hear you scream. “How is this third to last?”, I hear you ask. “This is wrong”, I hear you cry. But, bare with me please. X-Men Apocalypse is not a bad film, it is not the worst film but out of all the films it is probably the one I have no intention to watch again, I would rather pick Origins – (yes: I will defend it, but that is once again just because I liked it as a child – don’t judge me). Apocalypse is ultimately a film you don’t need to watch, it has the curse of the three and is just dumb. A super mutant comes – he can literally kill anybody in any way imaginable, has four horseman one of which is Magneto, wants Charles, gets Charles, goes through special balding process, Magneto can’t do that to his friend Charles, Mystique for some reason leads the X-Men, they all stop him in a final battle, Magneto and Charles have the inevitable “you’re my enemy but we’re still friends” talk and then end. Oh yeah, the new X-Men are formed and Angel dies (sorry if that felt tagged on but so was he). Even the quicksilver scene is the same as the amazing one in the second. Apocalypse is just lacking something, and I think that is mainly a good enough villain. So, whilst it isn’t terrible, it is nowhere near anything resembling good. This blog is about my opinions, (see I am already trying to be defensive) and to me The Wolverine really isn’t that good. I didn’t particularly like it, it was set in Japan for no reason, whilst it did have a cool train scene, I knew he wasn’t going to die because he would be in X-Men Days of Future Past the following year. The final two acts are poor, the villain and CGI are forgettable, the only cool idea is that Wolverine is mortal but from what I remember (I’ve only seen the film twice, once when it came out and the other when it was on TV whilst I was on holiday) we never got to see him really fear being mortal. The Wolverine isn’t a good film, it doesn’t add anything new to Wolverine, as him running around with a woman I hated, had a rubbish villain and had confusing repercussions on his character, with him having bone claws. Sure, it might have been a step forward for fox with a different feel for a different film with some good storytelling and allowing more character development for Wolverine and some good action scenes, but the final two acts were so bland and stale. Viper was absolutely useless and the film is never once mentioned again. Almost as if it just doesn’t exist, plus it just felt so irrelevant to the franchise and to the character but I did like the Jean Grey cameo even though I hate her. The Wolverine is a film you don’t need to watch, so much so, that I honestly can’t remember what happened in the film. This is first on so many people’s lists, but I was young and so it doesn’t have the same impact on me and I can’t say it was amazing because I never experienced it, maybe if I was old enough to truly appreciate the film when it came out I would rank it much higher but I wasn’t so I don’t want to have to adjust my list because everyone insists it was important. The actual film was good, it set up a Dark Phoenix story line, added depth to Wolverine, gave Storm something to do and is one of the few films to actually serve justice to Nightcrawler as he is simply amazing; with his “white house” scene being on of the best in the entire film. I’ve put Deadpool 2 at number four because it was one of the best films in the franchise, it was much better than the first and although had problems (which my review explains – you can click it above) it was a really good film. I had fun and thoroughly enjoyed it and really do look forward to seeing more from this film, it may seem harsh to put it so high but I think it was one of the better X-Men films – with the shocks, added action and better and more relevant comedy making it a delight. 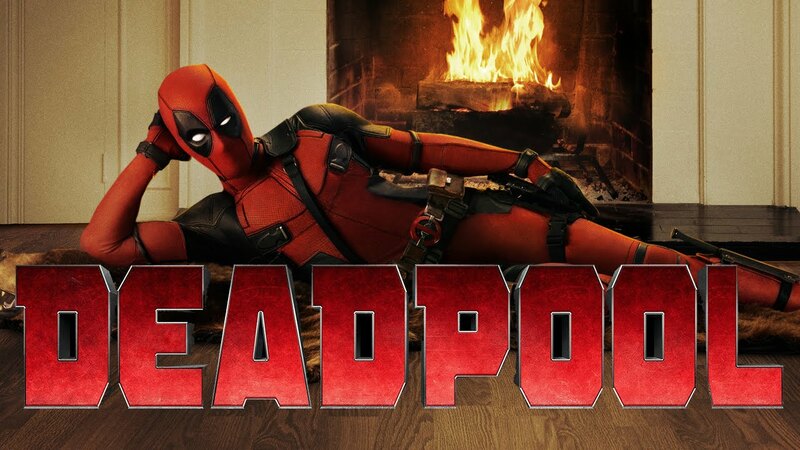 Even if you want to think about what Deadpool 2 does for the future it is a win for Fox, they replicated success, had a better response from critics and audiences, essentially created a whole new area of the X-Men franchise where they can continue for the next couple of years, especially considering Wolverine has stopped turning up to these. Deadpool 2 was a great film. X-Men: First Class is this high because how it managed to really save this franchise. [Fun fact; the ending of this film helped with my GCSE, because we were studying the Cuban missile crisis.] I loved X-Men: First Class, brought in new characters, showed background to a relationship that we had invested eleven years in, and it was centred on characters that were actually relevant to the franchise and filled in the blanks, it put the franchise back on track. I loved the entire film, from them recruiting everyone and Wolverine’s reaction, to Kevin Bacon as the villain to Magneto and the coin resulting in Charles losing his mind and in the climax of the film losing the ability to walk. It was just an important film as well, it paved the way for a future in this franchise, the casting was perfect, James McAvoy and Micheal Fassenbender are amazing and Matthew Vaughn really does create perfect dynamics between the two, showing the friendship and the respect that occurred as a result of the fallout. It also did great in setting up a new franchise in the franchise, Fox had opened the “Origins…” title would stick and there would be a different character every time (*coughs* Gambit) but Origins: Wolverine ensured that would never happen and X-Men First Class gave the franchise a clear new direction, with a great cast, great story and great dynamics to build upon. Annnnnnnnnnnd everyone reading this list clicks off. Now listen, I absolutely loved Logan as you can see if you click the link above to the review I did on it last year, and whilst I think it is probably the best film in the franchise with the best quality and the film I loved the most, I have to put one film above it because of what I think it brings to the franchise and how it came at a vital point for the franchise. Logan is fantastic, it’s gritty and cold and a really fitting tribute to the character. It was genius to set it in the future, as it let us feel some conclusion to the X-Men: Days Of Future Past cliffhanger and the amount of emotion and love the film contained was perfect. Professor X was great, the new addition of X-23 was great and most importantly Wolverine was great giving something not many characters get, an actual conclusion. Logan is the best quality in the franchise, and the best film but I still have to put one above it because it corrects all that had come before it and I am a big fan of continuity. It just has to be, it corrected everything that came before it, it bridged the two franchises together, it corrected the sins of X3; by giving us a good final movie for the main franchise, gave us a as good sequel to First Class; taking all the best elements and gave us an amazing Quicksilver scene all whilst establishing a way to continue this franchise. It once again put the spotlight on Wolverine just as the first two had, and it combined this with the great relationships these mutants had already built in the first; unfortunately I do think that Peter Dinklage is wasted as the villain but watching all the original heroes die and then seeing Wolverine wake up to discover X3 was just a bad dream was perfect. As well as correcting the continuity, it delivered some fantastic scenes; of course the quicksilver scene is the best scene hands down, but a different favourite scene of mine is the one below where we get to see the suffering of these character we have known for so long. It allowed us to reconnect with the main franchise and the vital players after eight whole years, fixed the damn timeline, and it actually made sense. Aside from a larger expanded role for Dinklage it couldn’t have gone better. I even think this is one of the better dynamics between Magneto and Charles with raw development between the two, and understanding each of their pains; as Charles feels Magneto abandoned him and Magneto thinks it’s the other way around. Previous Previous post: REVIEWBRUARY SEASON 2 [DAY 9]: RAMPAGE – 5.5/10 [C-].